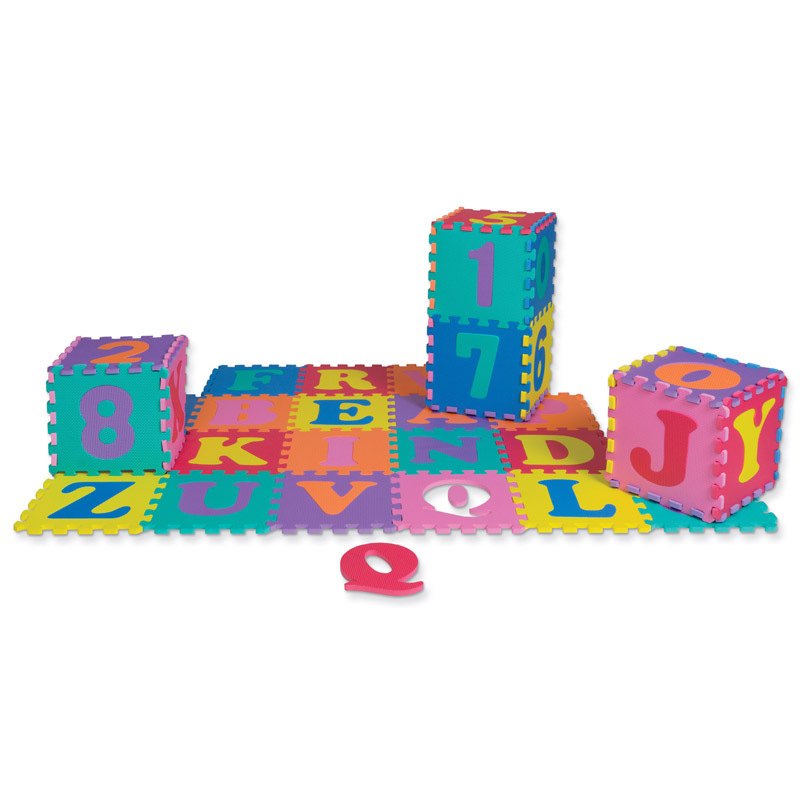 This fun alphabet toy will help children develop fine motor skills. 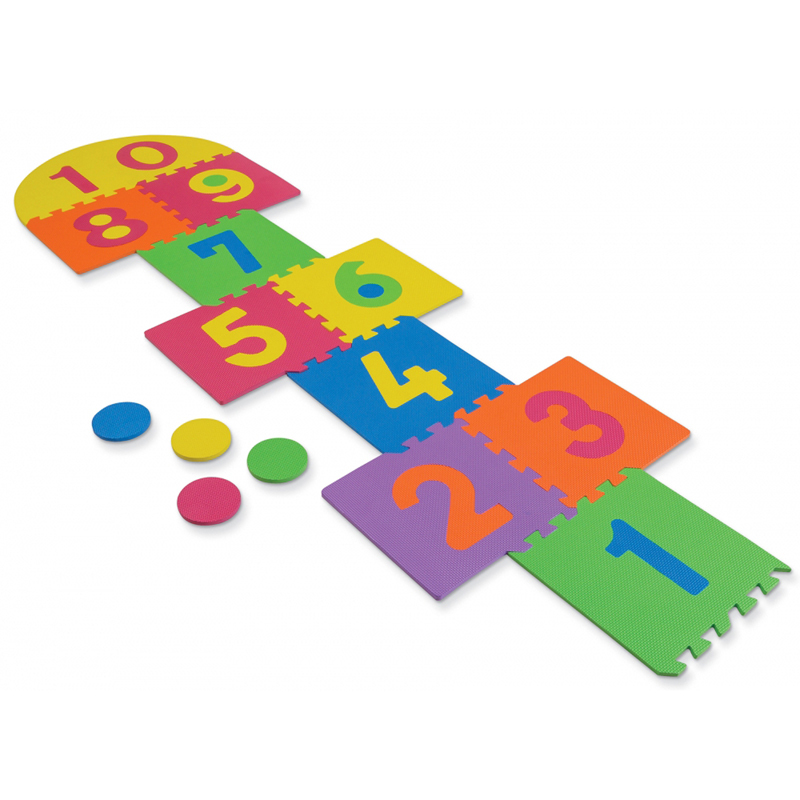 The thick durable pieces have unique textures and shapes so little hands can grasp them. 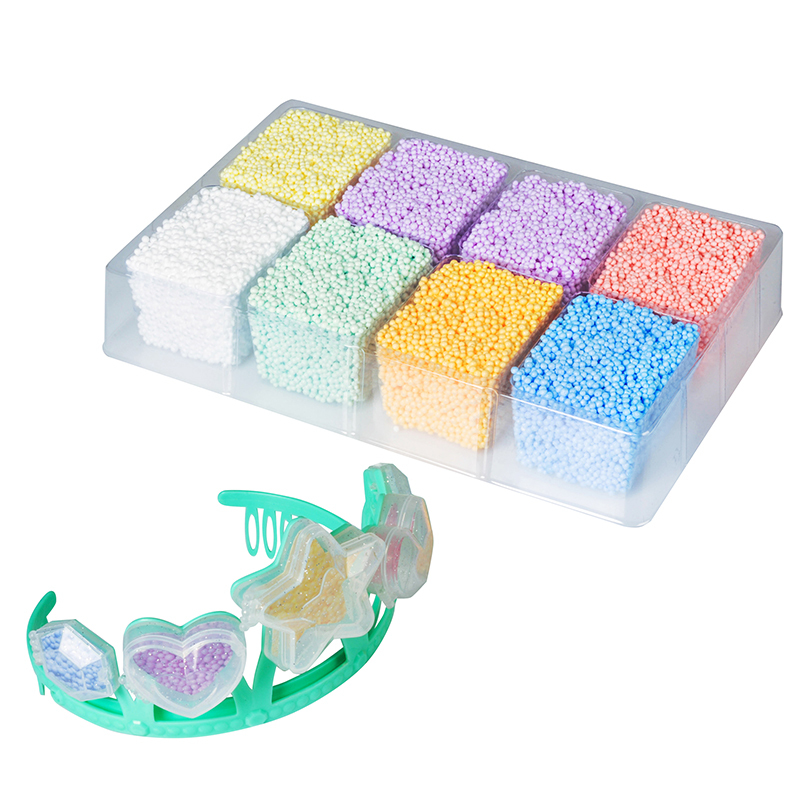 Use for lacing, sequencing and shape recognition. Can also be used as a tracing stencil. 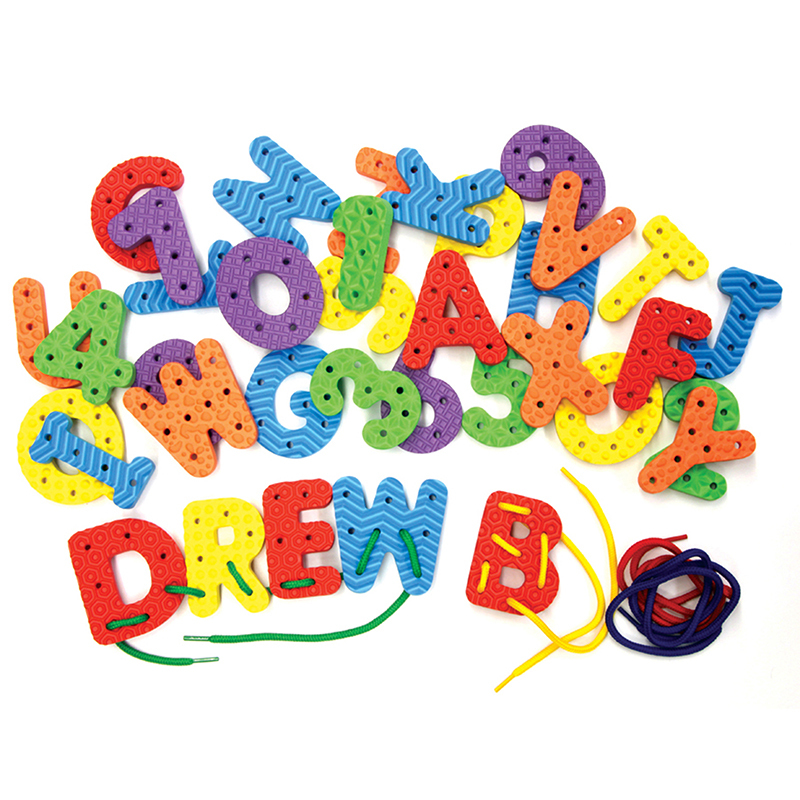 Includes 36 letter and number pieces in six assorted colors as well as four assorted colors of laces. Durable tipped laces are a generous 36" long. Letters measure approximately 2.75". 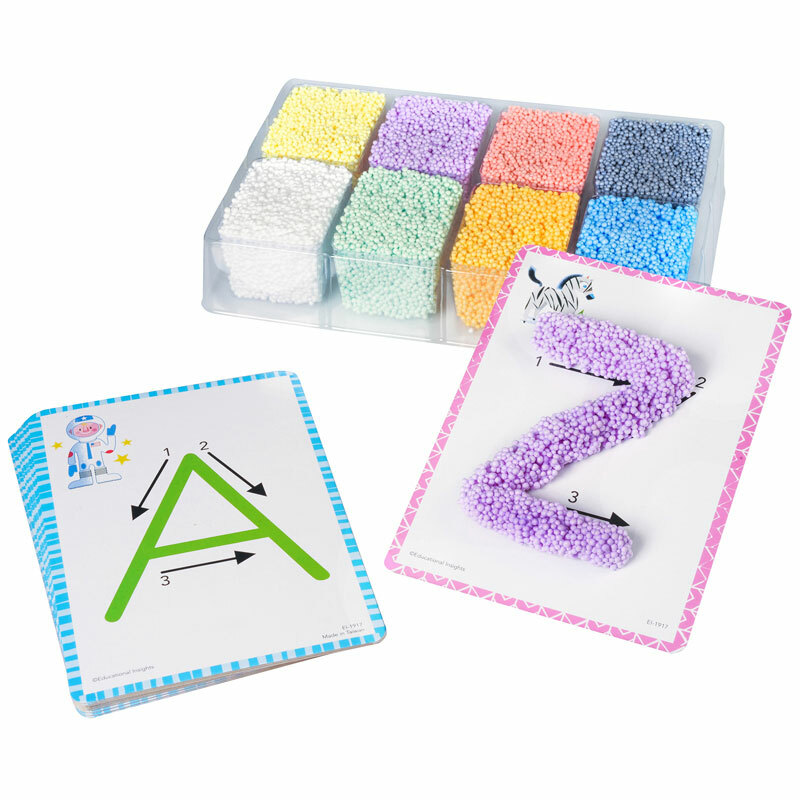 The Wonderfoam Lacing Letters & Numbers can be found in our Foam product category within the Arts & Crafts.